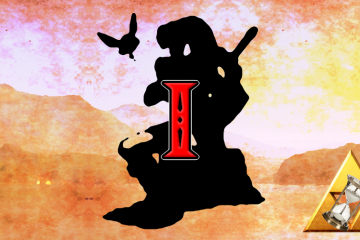 Each interpretation emphasizes different components of Igos du Ikana’s description of the song; Interpretation 1 emphasizes his claim that “this soldier who has no heart is your twin image.” To pick out the vacant statue generated by the song as Link’s twin image is tantamount to forcing what I’ve been calling ‘flat analysis’; put another way, claiming that Link the Character is identical to Link the Statue cuts Link off from his connection to the player’s agency, defining him as “just another object” in the world of Termina. Another way into this interpretation is the fact that, when Link dons the Zora Mask or Goron Mask and plays the Elegy of Emptiness, the statues generated are not images of Zora Link or Goron Link — rather, they are images of Mikau and Darmani, respectively. These fallen heroes are categorically fixed points in Termina, devoid of agency; in fact, I argued much earlier that a useful way of understanding the act of Link healing them is as Link actualizing their quests by imparting the agency of the player to them. Instantiating a statue of Link that takes the same form as these fallen heroes highlights the fact that Link, by virtue of existing within the video game, is, in one sense, a character not dissimilar to NPC’s. This is why NPC’s can interact with Link, whereas it makes no sense to speak of NPC’s directly engaging the player, who exists outside the bounds of the video game. 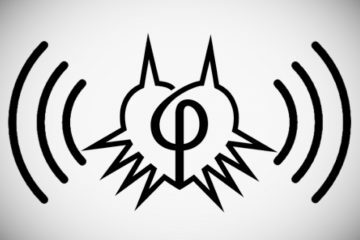 On this view, the Elegy of Emptiness anchors Link as a fixed point within Termina, reinforcing the fact that he ultimately is bound within the three-day timelines of the world, without the opportunity to ever really “stop playing” the game. In my article analyzing the metaphysics and ontology of “Xenoblade,” I characterized the narrative as a reworking of the ‘death of the author’ motif. We might rightly call this view the very opposite: an elegy refers to a song mourning the death of someone, and this elegy seems to mourn the death of the player’s agency within the universe. Is all hope lost for the player? Are we going through the motions of little more than a movie, in which are actions are of no consequence to the story? If you’ve read even a small portion of the analysis up to now, then you know the answer: of course not! And, thankfully, Interpretation 2 of the Elegy of Emptiness is something of an antidote to Interpretation 1. Notice the obvious in the above picture: even though Igos du Ikana may call Link’s statue his twin, the two are not numerically identical: they are discrete entities. This interpretation takes as its basis different components of Igos du Ikana’s lines: namely, that the soldier created by the song “has no heart,” and that it is “a shell of [Link] that he will shed when [his] song commands it.” As the player dungeon-crawls through Stone Tower, an interesting subtext emerges to the gameplay: Link relies on a combination of the song’s static statues to hold switches down, and on his own capacity to move in order to pass through doors or negotiate terrain when the statues are properly positioned. In this way, the song actually seems to underscore the stark contrast between Link as an agent, and the static forms of other characters. Igos recognizes that Link needs the aid of soldiers without hearts because Link actually has a heart. I contend that one way to parsimoniously explain what is meant by the ‘heart’ that differentiates Link from the statues is his connection to the player, which renders him significantly more animate than any NPC, let alone any statue. The act of Link playing this song to “shed his shell” is a symbolic representation of Link exerting his own will outside of Termina’s determined structure. What of the characteristics of the statues, and the fact that the Goron and Zora Statues represent the static fallen heroes? Well, this interpretation gives us another plausible theoretic lens through which to view this state of affairs: by instantiating a Link Statue which exists on the same level as these fallen, static heroes, the song differentiates the Link playing the song from those heroes. 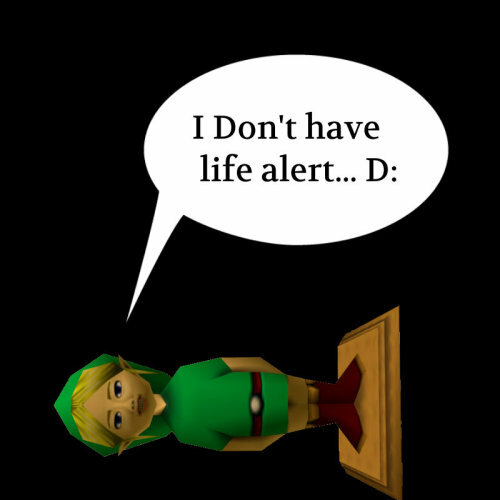 That is to say, Link establishes his uniqueness as an agent by differentiating himself from the NPC’s of Termina. We might expect a consequence of this argument to be that Link has a greater level of observable agency in Ikana than elsewhere; while I don’t presently want to enter into a proof of this, I would point to the fact that Link can invert the entire Stone Tower, an act which the Garo Master compares to inverting the natural order of the world. This suggests that Link’s level of observable agency could in fact be amplified in Ikana. Yet as much as we may like Interpretation 2, we cannot simply eschew Interpretation 1. Something more complex is going on here: the song is called neither of my pedantic reformulated titles, but is called merely “the Elegy of Emptiness.” So part of the theory I offer here is one of irresolvable ambiguity. Part of what makes Link, and avatars in general, so narratologically peculiar is that they are at once part of the universe described by a video game, and also related to the player who exists outside of that universe. Like the Stone Tower Temple, they have two faces: one is the in-game character who can speak with NPC’s and directly engage the game’s world, and the other is the agent who, by virtue of the player, can exert willpower beyond the abilities of any NPC and thereby change the game’s world. Interpretation 1 describes the former face, and Interpretation 2 describes the latter; together, they describe an existential tension from which the discourse of the video game emerges.